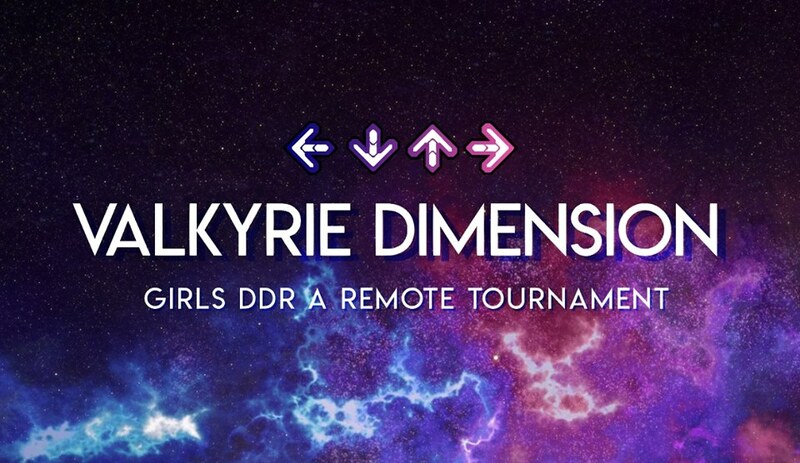 VALKYRIE DIMENSION IS A GIRLS-ONLY DDR A REMOTE TOURNAMENT. Participants will do their best on a selection of songs between September 14th and October 21st 2018. You will play as much as you want, at any time, on your local DDR A. Scores will be submitted as a photos of the results screen. This is a DDR A tournament, you must play on a DDR A machine only. If you are a girl who has access to DDR A, consider entering, regardless of your skill level. This is a friendly tournament meant to foster the girls’ community in DDR, and push you to play your best. There will be 3 skill divisions – Low, Mid, and High. Low will be difficulties 8-12, Mid will be 12-15 and high will be 15+. You must play within your appropriate tier. For example, if you are capable of 17’s, you should not be in low tier. The tiers are there so that girls of all skill levels can compete with other girls on their level. Please enter the appropriate tier so competition is fair. If you think you aren’t good enough – enter anyway. This is a friendly competition! For each division, there will be 6 different charts. 3 designated charts MUST be played in a single game set, similar to how KAC qualifiers were. These songs played in a single set are there to test your endurance. You must submit photos of each score, as well as the summary screen that proves that you played them in the same set. The other 3 songs do not have to be played in a single set. You only need to submit a photo of the score. These songs might have some trickier things to time, and will test your MA skills! Your EX SCORE is what matters here – it’s at the bottom on the results screen. The total of your 6 EX scores will be your grand total. EX Scoring works as follows – 3 points for a Marvelous, 2 points for Perfect, 1 point for Great. Please make sure the EX score is visible in your photo. Valkyrie Dimension’s purpose is to encourage women and girls to enter a competitive scene in order to encourage their personal growth in the game. Competition brings out the best in people, and it should be experienced at every level of skill. Dance Dance Revolution has always had it’s share of devoted women players, but it is largely a male-dominated game. This is a chance for girls around the world to put their skills to the test and enjoy the thrill of tournament play. 1. You must play on an official DDR A machine. No Stepmania. 2. Scores must be from the time period of the tournament and submitted on time. 3. Photos must be clear, and show your DDR handle and your EX score. 4. Stamina sets must be played as a single set of 3 songs. You must also include a photo of the game summary screen that shows that you did indeed play those 3 songs in a single set. 5. Harassment or bullying of other participants will result in disqualification. 6. Any option can be used except Cut/Little. 7. If you are doing the stamina set, you can use your extra stage to attempt one of the songs again. 8. You must identify as a woman to enter.